Featuring Rosellen Brown’s historical novel, The Lake on Fire. Click here to read the full press release. Stories, songs, and dramatic play for bigger kids only. This book group meets on the first Wednesday of the month at 7:30 pm at Mather Place of Wilmette, 2801 Old Glenview Road, Wilmette. Join us for readings and to discuss a variety of self-help topics with local authors. Topics include awareness, inspirational autobiography, therapist letters and supporting your teenager with local authors Priyanka Chatterjee, David Klow, Mike Lauesen and Julius Mercer. Monthly Book Club that meets on the second Tuesday of the month. Newcomers welcome. Sign up for a 15-minute slot to read some of your favorite stories to a trained therapy dog. K-9 Reading Buddies of the North Shore is a Therapy Dogs International Children Reading to Dogs Program. Wilmette and Kenilworth residents only. Registration required. Call 847-256-6945 or stop by the Youth Services Desk. No online registration. Join WPL for stories, songs, and fun in Mandarin and English. Wednesday, April 17, 7:00-8:45 pm, Auditorium. Debra Gurvitz and Deborah Shefren from the National Writing Project will moderate a discussion of the themes of the PBS documentary, ‘American Creed’. The film will be shown prior to the discussion. WPL is the recipient of one of 50 grants from the American Library Association (ALA) for the ‘American Creed’ Community Conversations Project. The grant supports events and activities to engage attendees with the idea of a shared creed, and to consider what America’s ideals and identity ought to be. Join facilitator Mary Abroe, Ph.D. of College of Lake County, to discuss American Character: A History of the Epic Struggle Between Individual Liberty and the Common Good by Colin Woodard. Join the League and your neighbors for a stimulating book discussion. This book group meets the 4th Wednesday of the month. Enjoy snacks, activities, and discussion. Registration required. Call 847-256-6945 or stop by the Youth Desk. Registration starts Thursday, April 4 for Wilmette and Kenilworth residents; Thursday, April 11 for non-residents. Copies of the book will be available for checkout at the Youth Services Desk. American Creed—Are We Becoming a Nation of Enough Immigrants? Possibly the most controversial legacy of the last few years will be that a nation of immigrants is being replaced by a nation of enough immigrants. Professor Jack Doppelt, an expert in immigration matters, will document and discuss this contentious issue. 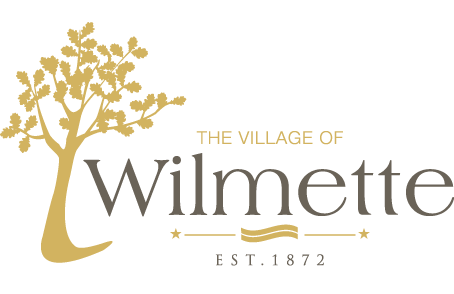 The League of Women Voters of Wilmette will facilitate a series of discussions in which a small group of people come together for open-minded conversations on a topic, with a focus on learning from each other rather than debating. The Library is pleased to partner with the League of Women Voters of Wilmette and Jack Doppelt, Professor of Journalism and Faculty Associate at the Institute for Policy Research at Northwestern University, on this project.